Snug Projects is proud to announce that the project Hermitage has recently gained planning permission from Winchester City Council. 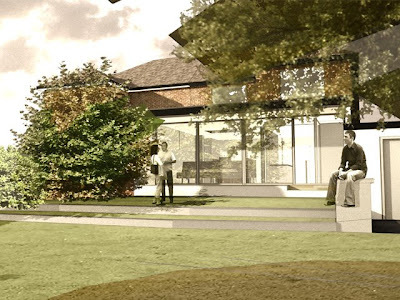 The project in Twyford is for a new family dwelling in the setting of a Listed Building. The design is derived directly from the historic context and was developed following a thorough character analysis of the site. The house is comprised of a single storey open pavilion set against a two storey solid element with a strong relationship to the landscape. 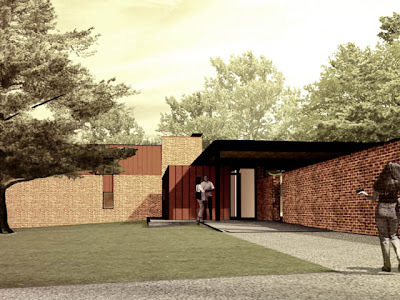 The design has a green roof, ground source heat pump and achieves Code for Sustainable Homes Level 4. This November will be Snug’s 5th Birthday, and to celebrate we are holding a exhibition in honour of our first 5 years and 100 projects. For one day only, Snug’s complete portfolio will be on display to the public. It’s a great opportunity to come to see what we do, and talk to us about all stages of the design process. Examples of our work in the areas of Property Development, Private Houses, Extensions and Education will be on show, as well as detailed presentations on some of our favourite schemes. We are delighted to announce that Planning Permission was granted yesterday for a four bedroom end of terrace house at 45 Greenhill Road. 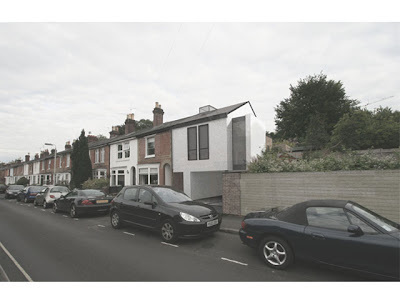 Snug’s contemporary scheme was praised by the planners and we look forward to taking it forward. This week Snug has discovered TED, a great online resource for academic lectures. Snug is pleased to announce that schemes for Monk’s Road and 25 Fordington Avenue (above) have recently been submitted to planning. 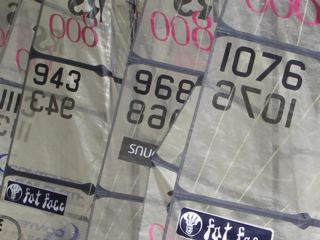 Snug Projects proudly sponsored Paul Bulkeley and Mike Worthington at the RS800 2008 National Championships at Porthpean in Cornwall. There were great winds and great sailing enjoyed despite a snapped mast! Snug have launched a new product called Home Plus Reports. It is a professional report prepared by a chartered architect that identifies potential improvements to your home and the added value it will achieve. We visit you at your home and identify your home’s improvement potential. We establish what this will cost and how much value it will add. We make professional recommendations for how to achieve this added value and provide guidance on the legal process involved in such developments. We summarise our findings in an easy to interpret report. This allows you to decide how best to achieve your home’s full potential. You are currently browsing the Snug Architects blog archives for September, 2008.